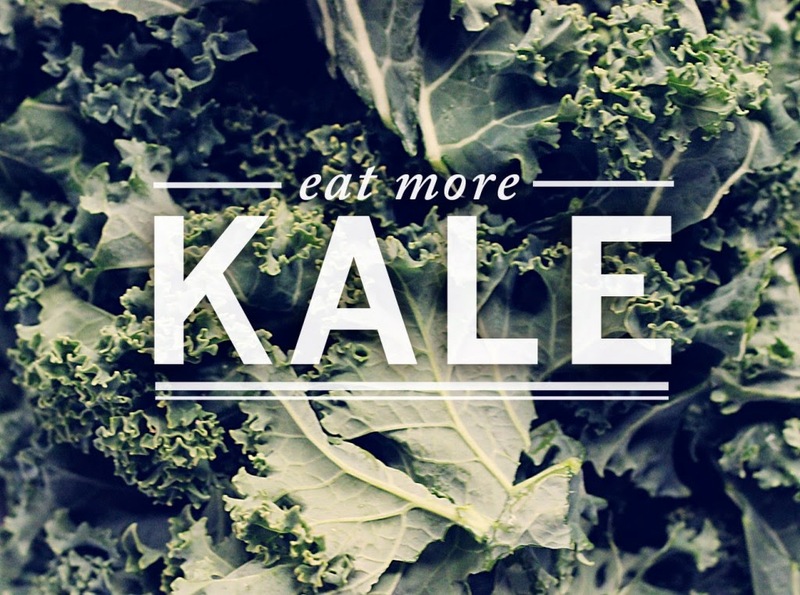 It seems like everywhere I go I see the mantra 'Eat more Kale!' plastered on shirts, stickers, bags- all sorts of things. ( see here) While I do know residing in the land of all things organic, healthy and local aka Vermont plays a major part in this, one just can't deny that Kale's presence is everywhere. I had Kale once and in it was in a green smoothie. I drank it and felt super cool and healthy. Kale is one of the world's healthiest foods so it's surge in popularity is well deserved. One cup of cooked kale has only 33 calories. Not only that BUT the leafy cabbage also has a boatload of antioxidants and vitamins along with the power to prevent numerous types of cancer and heart disease. It's been around since the 17th century and will not be leaving our plates anytime soon. Reading all the benefits of this hearty green prompted me to drive to my grocery store and attempt to make Kale chips. I then found this recipe and the rest is history. The process was so easy and the result was so super duper delicious that it just wouldn't be fair not to share with you all. 2. 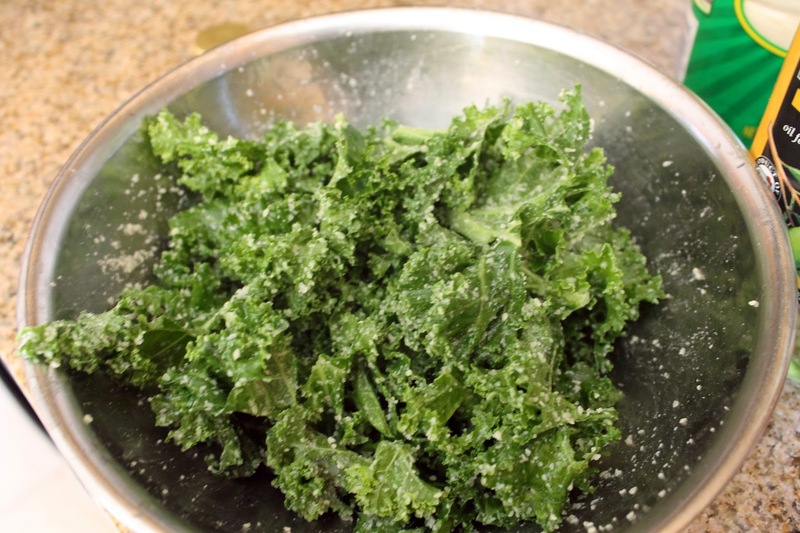 Drizzle 2 tablespoons of olive oil on to your Kale. Mix this all up to make sure the olive oil covers each leaf evenly. 3. Sprinkle Parmesan cheese on top- use as much as you want! The more you use, the cheesier your chips will be- yummy! 4. 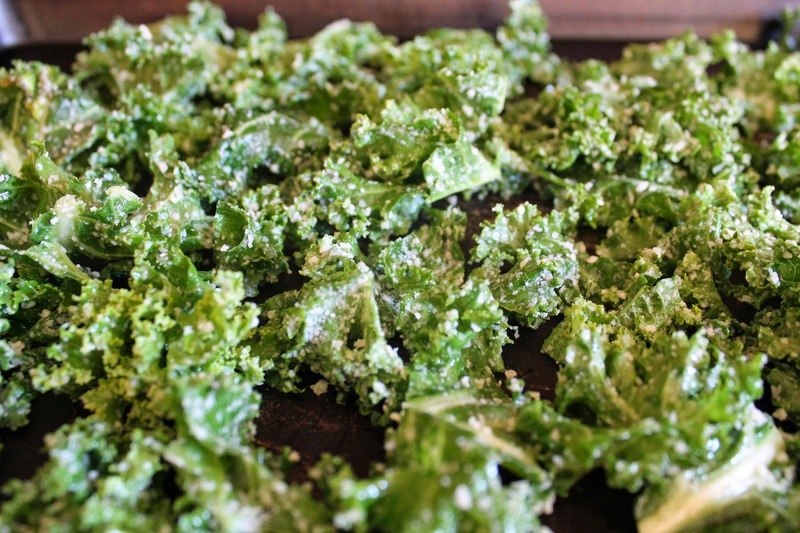 Place your Kale in a thin layer on a baking sheet and then bake for 15-18 minutes. You want your chips to be crispy and the Parmesan cheese should look golden. .... and that's it! I told you this recipe is super easy. Once out of the oven, eat those babies before anyone else can get their hands on them. In all seriousness, the chips taste better when they are straight out of the oven. When the chips start to cool they begin to wilt and no one wants to eat a soggy chip. I think the Parmesan gives the chips a nice touch, especially for Kale novices such as myself. 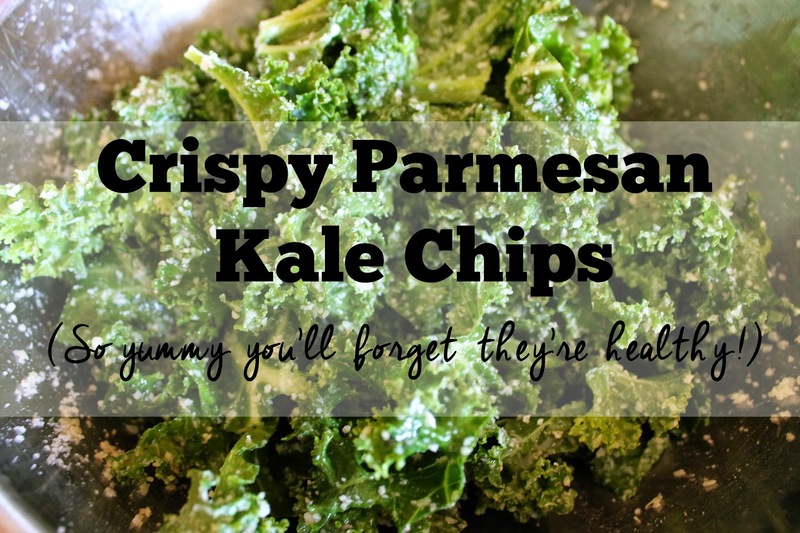 Kale chips are great for when you need a crunchy snack and are so good you'll forget they're healthy. Enjoy!